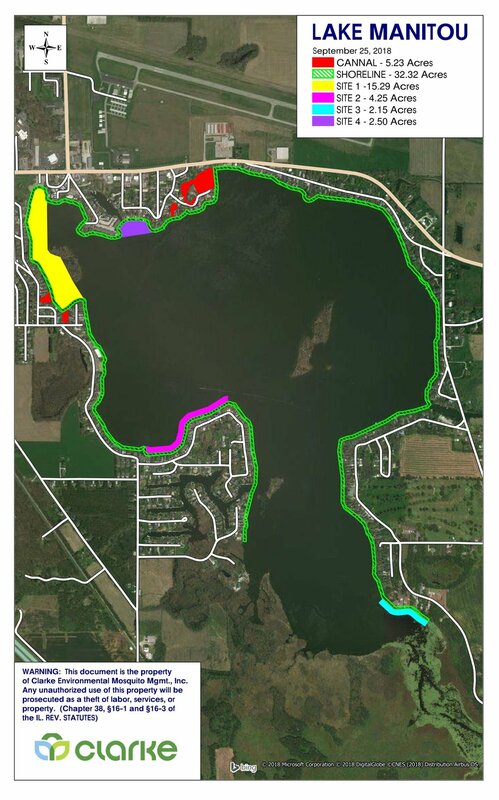 We strive to plan and implement projects in an effort o enhance water quality, protect important natural areas, and educate and inspire the community in ways they can help keep our cherished lake healthy and vibrant! Clarke Aquatic Services will be conducting herbicide applications along the shoreline and other selected areas. The goal of these treatment will be to reduce the amount of vegetation in and around docks, swimming areas, and other locations necessary for recreation and boat travel. Clarke has developed a plan to conduct two treatments (pending approval by the DNR). First Clarke will conduct a spring survey in late May followed by the first treatment which will be completed prior to June 15th. Much like the first treatment, there will be a follow-up survey in July followed by a second treatment as needed. There will be regrowth, and in order to ensure a reduction in vegetation for the holidays, two treatments are recommended. These treatments will cover only the areas approved by the DNR and agreed upon my the Association. Clarke will not perform a treatment without approval from either party. Prior to each treatment, all residents will be notified of the treatment. The notification will be a “week of” date based on current weather patterns. Additionally ,we will treat early in the week to avoid any restrictions imposed by the product label that may impede recreational activities for the weekend. On treatment day, you can expect to see one or two boat clearly marked with “Clark Aquatic Services”. These boats will be spraying herbicide in all marked areas using GPS tracking. Each area to be treated will be marked with a sign that will details the products being used and any restrictions a homeowner should be aware of. Examples include irrigation, swimming, drinking, etc. A treatment sign will also be posted at all public launches. If you are interested in additional treatments to your shoreline or would like to purchase a water circulator to assist with stagnant water, please see the link below for more information. We have completed the dredging of Graham Ditch/White Creek , which consisted of an excavator/barge equipment removing sediment from this area. This project, along with the consistent management of the filter system will help with sediment removal on this main tributary. The Association is currently obtaining quotes for 10 additional shallow/sediment-filled areas. Watch the video to for more information! Click the LEARN MORE button below for more information on Graham Ditch and how it affects the quality of our water in Lake Manitou. Last year, in an effort to enhance safety and nighttime navigation, we purchased and installed 32 lighted buoys which follow the perimeter of the lake marking 200 ft. from the shoreline. White cylinders marked NO MOTOR ZONE with lighted solar caps mark the Prairie area. The Prairie is the 43-acre shallow area located directly east of the Moose Lodge. This area is restricted from any motor traffic in an effort to facilitate the growth of important aquatic plant life. Navigating the Lake: Indiana law states that watercraft must maintain idle speed within 200 ft. of all shorelines. Idling inside of the buoys parallel to shore is also prohibited. Alway travel perpendicular to the shoreline when entering or exiting docks. In 2017, the Association received a Lake and River Enhancement (LARE) grant to develop sediment collection ideas for our largest tributary, Rain Creek, located at the south end of Lake Manitou. Cardno completed this study. Because it is surrounded by wetlands, Rain Creek presents unique challenges to the designs we received. Our goal continues to be determining the option that is the most measurable, sustainable and cost effective. Watch the video below!